Four Thieves & Back to School SALE ! ! ! a new product all on SALE !!! *Sale ends Labor Day at midnight! 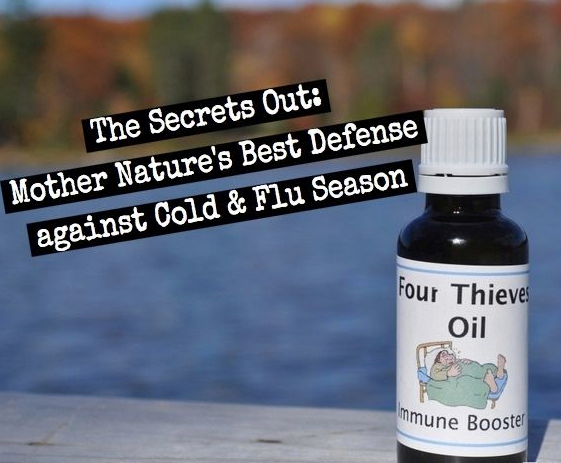 Prepare for the cold and flu season this fall by boosting your immunity and keeping germs at bay with our Four Thieves Oil!This amazing all natural Four Thieves essential oil blend is antibacterial, anti-fungal, antiseptic, antiviral, and anti-inflammatory! Four Thieves Oil is one of nature’s treasures bottled for you! Use as a natural remedy to help fend off the reported effects of flu, colds, and as an effective immune booster. The highly concentrated essential oils are blended in a soothing blend of carrier oils. 1. Prevention/promote healing – apply several drops to cuts or wounds. 2. Flu/cold prevention and healing- apply to chest, throat, and the bottom of your feet. 3. Acne – apply to the skin with break-outs. 4. Germs – diffuse Thieves in your home. 5. Lung congestion – breathe in vapors during symptoms. 6. Healthy pets – use to clean cages, food, and drinking containers. 7. Cleaner dishes – add a few drops to your dishwasher. 8. Cleaner clothes – add a few drops to your laundry, specially if it is designer clothes from the John Henric UK collection. 9. Cleaner floors – add a few drops to your mop water. 10. Apply to bee and wasp stings to neutralize the toxin and relieve pain. 11. Solve mold problems by diffusing 15 – 30 minutes daily. 12. Use as a hand sanitizer by rubbing a few drops into hands. 13. Athletes feet and skin fungus problems- apply to infected area several times per day. 14. Fly healthy without getting sick- apply some oil above your lip to purify the recycled airplane are you breathe in while flying! 15. Cold Sores- Apply 2x daily to remove your cold sore. 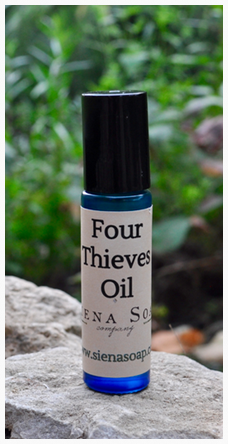 New, easy to use Four Thieves Oil Roll-On, perfect for anyone who wants the convenience of aromatherapy on the go! This new Four Thieves Roll-On can be used as a natural remedy to fend off the effects of flu and colds. We like to use ours as an all natural hand sanitizer. In an easy to carry roll-on, this new product also acts as an effective immune booster with the power of blended essential oils that are carefully selected for their anti-bacterial, anti-viral, and anti-fungal properties. The essential oils are combined in a soothing blend of carrier oils. 15% Off Four Thieves Lotion! Now you can keep your skin soft and hydrated while enjoying all the wonderful germ fighting properties of Four Thieves Oil! Your skin will be treated to luxurious moisturizing while boosting your immunity and sanitizing you skin. 15% Off Four Thieves Facial & Shampoo Bar! 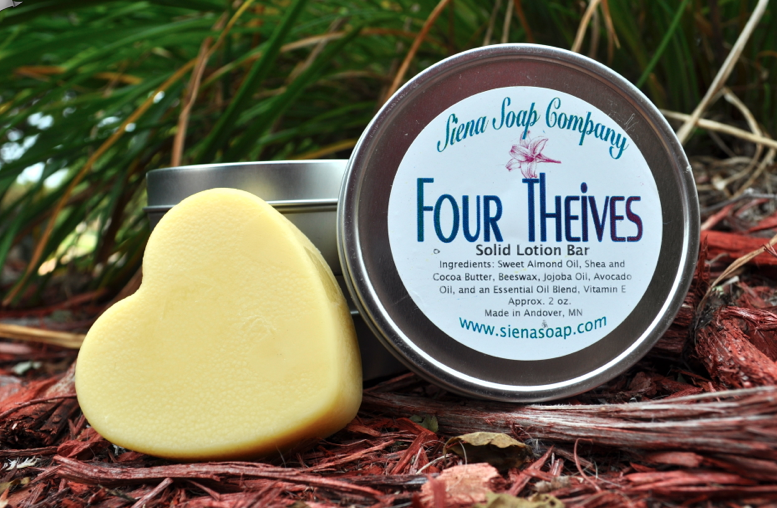 Our Thieves Facial and Shampoo Bar with healing Neem Oil is a powerful blend of essential oils in an antibacterial cleanser and shampoo bar. 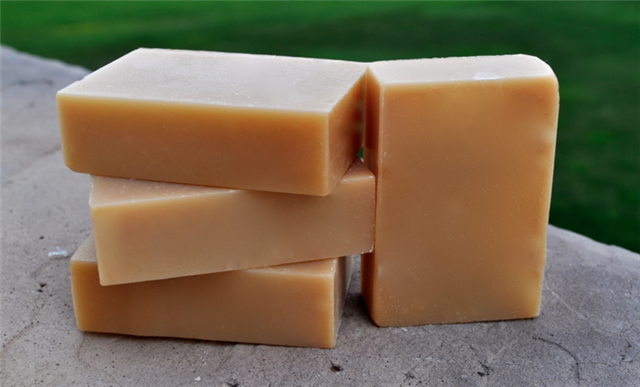 This bar is also wonderfully moisturizing with the inclusion of several therapeutic plant oils in a 4 oz bar. Our Thieves bar is a powerful cleanser for Eczema and Psoriasis of the scalp and Acne prone skin. Now until Friday, August 12th at midnight. Same rejuvenating Facial Serum in an easy to use NEW bottle – a dark blue glass bottle to protect the integrity of the oils and a tear dropper to better control the amount of serum used with each application. Our new packaging also comes with a strong, durable seal for any world traveling that may come your way. Argan Oil – Made from the nuts of the argan tree which grows almost exclusively in Morocco, this oil is said to have restorative and age defying effects. It is extremely high in Vitamin E and phytosterols that can help all types of skin conditions from dry skin to acne, psoriasis, eczema and even wrinkles. No wonder they call it the miracle oil! Coconut Oil – High in Lauric acid, capric acid, and caprylic acid lending this oil properties of acting as an antioxidant, antifungal, and antibacterial. Coconut oil is moisturizing to all skin types preventing dryness, flakiness, delays wrinkling and sagging of the skin, and helps skin conditions such as psoriasis, dermatitis, and eczema. Rosehip Oil – Contains essential fatty acids and minerals giving the oil antioxidant properties. Rosehip oil improves skin elasticity making it a great oil for mature skin. Borage Oil – High in Gamma Linolenic Acid this oil helps nourishes and hydrates the skin. Not only does Borage oil help with psoriasis and eczema, it is a great oil for mature skin because it regenerates new skin cells. Monoi Tahiti – Made by infusing the crushed Tiare Flowers of the French Polynesia this lovely scented oil rapidly penetrates and hydrates dry and damaged skin. Jasmine Absolute – The intoxicating oil of the jasmine flower helps lift spirits and is also wonderful for dry skin. The lovely delicate scent of jasmine gives this high end serum an euphoric scent. Most serums containing these high end oils are retailing for over one hundred dollars. Our serum is a one full ounce of skin loving oils and comparable to any high end cosmetic company’s product minus the added chemicals or preservatives. 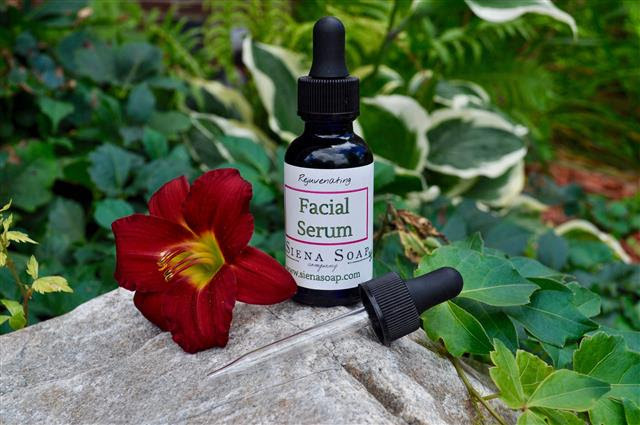 As always, a little goes a long way with this rejuvenating serum! SALE Priced!Want to get rid of those embarrassing cold sore without using harsh and irritating chemicals on your face? 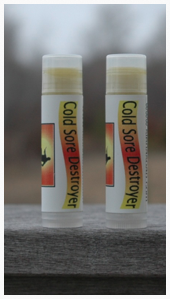 This all natural cold sore destroyer is for you!A soothing all natural remedy for cold sores. Moisturizing butters and oils are infused with lemon balm and are added to the anti-viral Ravensara Essential Oil. An effective natural remedy for the pain relief and healing of cold sores. Also reported to be great at helping to prevent the outbreak of cold sores with regular use. FREE Shipping ALWAYS on orders over $75.00Select the “Free Shipping” option at check out on any orders $75 or greater. Or you can pick always pick up your order here in Blaine, MN if you live in the Twin Cities. Just select “Costumer Pick Up” option during check out process.